Firstly we opened our blog for xat chat inform. But then we decided to change it and make it globally. 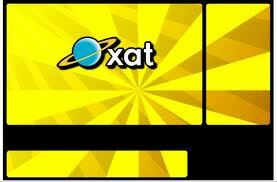 Xat is a free chat box and free chat room service which is active since 2006; you can see users from any country on Xat. You can get your own chat box and group on Xat.com, just needed is a valid email. Go to xat.com and click to "Get a chat group", then fill them all. After it, check your email and click to activate your group. People are from US, UK, Germany, Turkey, Spain and another countries. They prefer their own language generally. You can also use webcam 1 person to 1, just free to use. Register to xat.com and get xats-days and get powers to use Xat features. They cost for $ of course to use them.